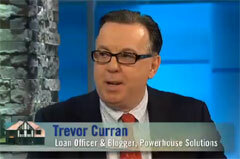 When I started in the mortgage business in 1989 I was introduced to the FHA Insured mortgage loan. As a Mortgage Banker, the loans I made were typically FHA as this had long been the province of mortgage bankers in general. During the Sub-Prime “Boom” I found myself often confronted with clients who, in my professional opinion, were prime candidates for FHA financing. The problem with the boom times and FHA was simple: there is a limit to FHA loan amounts, and during the boom, those limits were far below what was needed in the marketplace. FHA loan limits had not kept up with market price advances. Now, the FHA limit here in the NY Metro region is $625,500 for a single family home. This is something we can work with. The FHA loan program was created in 1934 during The Great Depression as part of the New Deal. The concept was simple: turn a nation of renters into a nation of homeowners. At the time, 70% of the United States population rented. The FHA program was created to make it easy for families to acquire their own homes. To this end, the FHA was spectacularly successful. I’ll write more about FHA, in the meantime, visit FHA’s website for more information about this wonderful loan program. Previous Previous post: Tax Time: A Journey to getting your MONEY.